Road connectivity for Rewa is also pretty good having frequent bus services for Allahabad, Jabalpur, Satna, Katni, Nagur, Bhopal and Indore. Rewa also has air connectivity with Bhopal, Khajuraho and Indore through a small aircraft operated by Ventura Airlines. The air strip is located in Chorahata, about 6 KM out of the city. The only Army School (सैनिक स्कूल ) in Madhya Pradesh is located in Rewa City. Prior to being part of Indian constitutive state Madhya Pradesh, Rewa served as the capital of princely state Vindhya Pradesh. The district with present boundary came into existence in 1950 after the promulgation of the Provinces and states (Transfer of ENCLAVES) order 1950. Prior to August 1947 the district along with the Raghurajnagar tahsil of the erstwhile Rewa state corresponded to the north Rewa district of that state . The territories now included in the district were held by the imperial Maurya dynasty which ruled in the 3rd century B.C. In the advent of the Kalchurls from the 9th to the end of 12th century. The Baghela king driven eastwards by Ulugh Khan , brother of the emperor Alauddin in the 13th century appeared in this Baghela kings till the abdication of the Crown by the last successor of the dynasty, Martand Singh.after the country became independent, the Rewa ruler accede to the Union of India. The present Rewa district came into existence in 1950 . The discussion on history of Rewa city would not be complete without discussion of its royal history and Rajputs. The state of Rewa owes its origins to the foundation of a state dating to 1234 by Vyaghra Dev, a descendant of the Vaghelas of Gujarat. He married the daughter of the Raja of Pirhawan and conquered the territory between Kalpi and Chandalgarh. Karan Dev, son of Vyaghra Dev married the daughter of the Raja of Ratanpur, bringing Bandhogarh (now known as Bandhavgarh) into the family as her dowry. The legendary fortress of Bandhogarh fell into Mughal hands in 1597, almost by accident. At the death of H.H. Maharaja Virbhadra Rao in 1593, his minor son succeeded as H.H. Maharaja Vikramaditya. 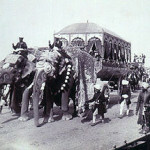 When he was sent to Delhi for his own safety, the emperor took advantage of his absence to send one of his loyal nobles as temporary governor. Once he had taken control of the fort, the Maharaja’s nobles and officials were expelled and the fort annexed by the Mughals. On his return to his remaining domains, H.H. Maharaja Vikramaditya was forced to establish a new capital at Rewa, from whence the state took its name. Lt.Col. HH Samrajya Maharajadhiraja Bandhresh Shri Maharaja Sir VENKAT RAMAN RAMANUJ PRASAD SINGH Ju Deo Bahadur 1880/1918, born 23 July 1876, G.C.S.I. [cr.1897], married 1stly, 1892, HH Maharani Shivraj Kumari Devi, died 1917, daughter of Maharaja Sir RADHA PRASAD SINGH Bahadur of Dumraon in Bihar, married 2ndly, HH Maharani Gulab Kumari, died 1913, daughter of HH Maharaja Sir RANJIT SINGH of Ratlam, married 3rdly, 1904, HH Maharani Keerat Kumari, daughter of General Parihar Thakur Bakhsh Singh of Thikana Jhagarpur in U.P., and had issue, two sons and one daughter. He died 3 November 1918. HH Bandhvesh Maharaja Sir GHULAB SINGH Bahadur (qv) Maharajkumar Ravendra Ramanuj Prasad Singh (by Maharani Keerat Kumari), born 10 January 1917; died 10 June 1940. HH Maharani Sudarshan Prasad Kumari, born 5 September 1906, married 18 April 1922, HH Maharajadhiraj Sri SADUL SINGH of Bikaner, and had issue. She died 19 December 1971. Maharaja Ramchandra Singh and Akbar stayed friends. Two of the Navratnas of Akbar, Tansen and Birbal(original name Mahesh Das.) were sent from Rewa by Maharaja Ramchandra Singh once Akbar became the Emperor of India. 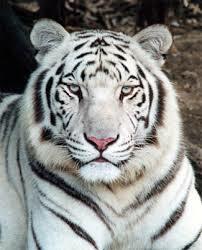 Rewa is also famous for its white tigers, the first one, nicknamed Mohan, was caught in Rewa in 1951 from the forest of Govindgarh, Rewa District by the then King of Rewa HH Martand Singh. Sitar Virtuoso Pandit Ravi Shankar studied music from Alauddin Khan of Maihar, also in Rewa state. Rewa is the first princely state in India to declare Hindi as a national language in times of Maharaja Gulab Singh. He is also credited for declaring the first responsible government in modern India, providing citizens of Rewa state a right to question monarch’s decision. The state came under British paramountcy in 1812 and remained a princely state within the Raj until India’s independence in 1947. In 1901, the population of the state was 1,327,385, showing a decrease of 12% over a decade; the population of the town that year was 24,608. Many of the inhabitants of the hilly tracts were Gonds and Kols. The estimated revenue of the state was Rs.200,000/- p.a. The staple crops were rice, millets and wheat. More than one-third of the area was covered with forests, yielding timber and lac. The state suffered from famine in 1896-1897 and again (to a lesser extent) in 1899-1900. Post-independence: Upon India’s independence in 1947, the maharaja of Rewa acceded unto the dominion of India. Rewa later merged with the Union of India and became part of Vindhya Pradesh, which was formed by the merger of the former princely states of the Bagelkhand and Bundelkhand agencies. Rewa served as the capital of the new state. In 1956, Vindhya Pradesh was merged with other nearby political entities to form the Indian constitutive state of Madhya Pradesh. The Maharaja’s Raj [i.e. colonial]-era palace has now been converted into a museum. In February 2007, the most extensive book on history of Rewa was published. Published by Oxford University Press, it is named “Baghelkhand, or the Tigers’ Lair” and is authored by Dr D.E.U Baker, ex H.O.D, History Department, St Stephen’s College, New Delhi after 12 years of gruelling research in which the author consulted numerous sources of information for Rewa’s history like the state and national archieves as well as old records of Rewa state. Maharaja VEER SINGH Deo, Maharaja of Bandhogarh 1500/1540, married and had issue. Thakur Nadbhanu [Horildeo], third son, he received the estate of Beerha as his patrimony in 1550, he was appointed a mansabdar with the title of Horilshah by Emperor Humayun of Delhi. Maharaja DURYODHAN SINGH [Birbhadra Singh], 19th Maharaja of Bandhogarh 1593/1618 (deposed), his accession gave rise to disturbances, and Padshah Akbar of Delhi intervened, captured and dismantled the Bandhogarh fort in 1597 after a siege of eight months; married 1618, a natural daughter of Raja Badan Singh of Bhadawar, because of which he was expelled and retired to Bhadawar. Maharaja VIKRAMADITYA, Maharaja of Rewah 1618/1630, after the capture of the Fort of Bandhogarh, the town of Rewa, was founded by Raja Vikramaditya in 1618 (which perhaps means that he undertook the construction of palaces and other buildings there because the place had already assumed importance in 1554 when it was held by Jalal Khan son of emperor Shershah), and started gaining in importance; married and had issue, four sons. Kunwar Indra Singh, he was granted Patharhat Estate. Kunwar Sarup Singh, he was granted Panasi Estate. Kunwar Angad Rai, he was granted Chandiya Estate. Maharaja AMAR SINGH II, Maharaja of Rewah 1630/1643, married and had issue. Raja Fateh Singh, he rebelled against his father and established himself in Sohawal. Maharaja ANOOP SINGH, Maharaja of Rewah 1643/1660, married and had issue, three sons. Kunwar Yashwant Singh, he was granted the Jagir of Gudh, married and had issue, two sons. Kunwar Mukund Singh, he was granted the estate of Semariya. Kunwar Jhujhar Singh, he was granted the estate of Ramnagar Itma. Maharaja BHAO SINGH, Maharaja of Rewah 1660/1690, married 1stly, Maharani Ajab Kunwar, daughter of Maharana Raj Singhji I of Udaipur, married 2ndly, 1668, Maharani Kunj Kumari, a daughter of Raikwar Thakur Sadan Singh of Nadan in Rewah State, and had adoptive issue. He died sp 1690. Maharaja ANIRUDH SINGH, Maharaja of Rewah 1690/1700, born as Kunwar Anirudh Singh, son of Thakur Yashwant Singh of Gudh, adopted by his uncle; married and had issue, one son. Maharaja AVADHUT SINGH, Maharaja of Rewah 1700/1755, the state was sacked by Hirde Shah of Panna in about 1731, causing the Raja to flee to Pratapgarh in Oudh; married (amongst others), (a), Maharani Ratan Kumari Devi, married (b), Maharani Sagun Kunwar, daughter of Umara-i-Uzzam Maharaja Mahendra Gopal Singh of Bhadawar, and his fifth wife, the daughter of Raja Madho Singh Sirnet of Bansi, and had issue, one son. Maharaja AJIT SINGH, Maharaja of Rewah 1755/1809, married Maharani Kundan Kunwar, died 1802, daughter of Chandel Thakur Vikram Singh of Silpatra, and had issue, one son. He died 1809. Maharaja JAI SINGH, Maharaja of Rewah 1809/1835, born 4th January 1765; in 1812 a body of Pindaris raided Mirzapur from Rewa territory. Upon this Jaisingh was called upon to accede to a treaty, in which he acknowledged the protection of the British Government, and agreed to refer all disputes with neighbouring chiefs to their arbitration and to allow British troops to march through or be cantoned in his territories; married 1stly, a daughter of Gaharwar Raja Udhhat Singh of Manda, married 2ndly, a daughter of Dikshit Raja Madhav Singh of Goraiya, and had issue, three sons and one daughter. He died 1835. Babu Laxman Singh, he was granted the estate of Madhavgarh estate, married and had issue, two sons. Kunwar Ran Bahadur Singh, married a daughter of Sirnet Raja Prakash Singh of Bansi in U.P. He died sp. Kunwar (name unknown), succeeded his brother in Madhavgarh, died without issue, and the estate was merged into Rewah. Kumari (name unknown), married Maharana Jawan Singhji of Udaipur. Kumari (name unknown), married 1834, Maharana Jawan Singhji of Udaipur. Babu Balbhadra Singh, he was granted the estate of Amarpatan; married Rani Chhavinath Kunwari, daughter of Gaharwar Thakur Manbodh Singh of Kaithaha estate in Rewah (a relation of the Raja Saheb of Manda in U.P. ), and had issue. Kumari (name unknown), married 1837, Maharaja Sardar Singhji of Bikaner. Maharajkumari Sahodar Kunwar, married 1823, Maharana Jawan Singhji of Udaipur. Maharaja VISHWANATH SINGH Bahadur, Maharaja of Rewah 1835/1854, born 1789, married and had issue, one sons and three daughters. He died 1854. Maharajkumari (name unknown), married Maharaja Ram Singhji II of Jaipur. 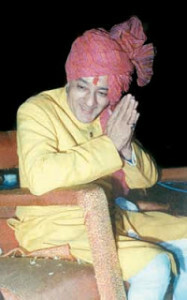 Maharajkumari (name unknown), married Maharaj Mahabat Singh of Jodhpur. HH Maharaja RAGHURAJ SINGH Bahadur, 32nd? Maharaja of Rewah 1854/1880, born 1831 (or 1834), Maharaja Raghuraj Singh helped the British in quelling the uprisings in the neighbouring Mandla and Jabalpur districta in the mutiny of 1857, and in Nagod which is now a part of Satna district, for this, the Maharaja was rewarded by restoration to him of the Sohagpur (Shahdol) and Amarkantak parganas, which had been seized by the Marathas in the beginning of the century, Maharaja [cr.1857]; married eight wives, including 1stly, 1845, daughter of Bisen Raja of Bhadri in Oudh, married 2ndly, 1851, HH Maharani Sobhag Kanwar, daughter of Maharana Sardar Singhji Bahadur of Udaipur, and had issue, one son and several daughters. He died 5th February 1880. Maharajkumari Vishnuprasad Kunwar, born 1846, married 1864, Maharaj Kishore Singh of Jodhpur. Maharajkumari (name unknown) [HH Maharani (name unknown) Sahiba of Bundi], married 2nd February 1903, Colonel HH Maharao Raja Shri Sir Raghubir Singhji Sahib Bahadur of Bundi. She died 31st December 1904 in Bundi. Lt.-Col. HH Samrajya Maharajadhiraja Bandhresh Shri Maharaja Sir VENKAT RAMAN RAMANUJ PRASAD SINGH Ju Deo Bahadur, Maharaja of Rewah 1880/1918, born 23rd July 1876, G.C.S.I. [cr.1897], married 1stly, 1892, HH Maharani Shivraj Kumari Devi, died 1917, daughter of Maharaja Sir Radha Prasad Singhji Bahadur of Dumraon in Bihar, married 2ndly, HH Maharani Gulab Kumari, died 1913, daughter of HH Maharaja Sir Ranjit Singhji of Ratlam, married 3rdly, 1904, HH Maharani Keerat Kumari, daughter of General Thakur Bakhsh Singh Parihar of Thikana Jhagarpur in U.P., and had issue, two sons and one daughter. He died 3rd November 1918 (#1). Maharajkumar Ravendra Ramanuj Prasad Singh (by Maharani Keerat Kumari), born 10th January 1917; died 10th June 1940. HH Maharani Sudarshan Prasad Kumari, born 5th September 1906, married 18th April 1922, HH Maharajadhiraj Sri SADUL SINGH of Bikaner, and had issue. She died 19th December 1971. Major-General HH Samrajya Maharajadhiraja Bandhresh Shri Maharaja Sir GHULAB SINGH Ju Deo Bahadur, Maharaja of Rewah 1918/1946 (deposed 30th January 1946), born 12th March 1903, G.C.I.E. [cr.1.1.1931], K.C.S.I. [cr. 1.1.1927], married 1stly, 25th June 1919 (#2), HH Bandhveshwari Shri Maharani Sahiba Samrajyi Kunwar, born 1903, died 1954, daughter of HH Maharaja Dhiraj Maharaja Sri Sir Sardar Singhji Bahadur of Jodhpur, married 2ndly, 18th February 1925 (#2), HH Maharani Ballabh Kumari, daughter of Lt.-Col. HH Umdae Rajhae Buland Makan Maharajadhiraja Maharaja Sir Madan Singhji Bahadur of Kishangarh, and had issue, one son. He died 13th April 1950. HH Samrajya Maharajadhiraja Bandhresh Shri Maharaja MARTAND SINGH Ju Deo Bahadur, Maharaja of Rewah 1946/1995, born 15th March 1923, elected to the Fifth, Seventh and Eighth Lok Sabha representing Rewa Parliamentary Constituency of Madhya Pradesh during 1971-1977 and 1980-1989. An agriculturist and businessman by profession, he was Raj Pramukh of Vindhya Pradesh. He was a very popular and active social worker. As a philanthropist, he built hospitals, dispensaries and organised camps for providing medical aid to indigent and sick people. He donated his palace at Satna and other properties for establishment of educational institutions like Banaras Hindu University and College in Satna. A widely travelled person, he evinced keen interest in the fields of sports, education, photography, archaeology and wildlife preservation. He established and developed National Park at Bandhogarh. He had served as a member of All India Wildlife Preservation Board and as the Director of Madhya Pradesh Udyog Vikas Nigam, Bhopal. He also made special efforts for development of irrigation, industries, transport, electrification and rail services in his area, married 1943, HH Maharani Praveen Kunverba, born 1926, daughter of HH Maharajadhiraj Mirzan Maharao Shri Vijayarajji Khengarji Sawai Bahadur of Kutch, and his wife, HH Maharani Shri Padmakunwar Ba Sahiba, and had issue. He died 20th November 1995 at Rewah.